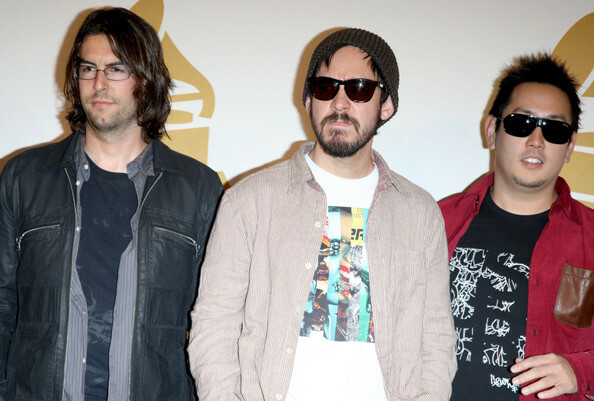 Musicians Rob Bourdon (L-R) , Mike Shinoda and Joe Hahn of Linkin Park pose in the press room during The GRAMMY Nominations Concert Live! at the Club Nokia on December 2, 2009 in Los Angeles, California. Mike plays up the rock star thing in a pair of dark wayfarer shades.